A wheel is composed of the inner spokes, the rim that connects the spokes and the outside tire. Wheels are connected by an axle so they can work in pairs to allow your vehicle to move. The tread on the tires protects the inner portion of the rim and helps the wheel grip the road to increase safety and efficiency. Without wheels, your car would not be able to function. This is why keeping on top of tire rotation service and other maintenance is so important. To learn more about wheels and how they work, contact Meineke #1078 in Cape Coral, FL. Tires are arguably one of the most important parts of any vehicle. This is because they are what helps your car or truck cling to the road and have enough traction to safely operate. Your car only accelerates, turns and stops because your tires allow it to. Tires also play an important role in gas mileage. When they are improperly inflated they lose fuel efficiency and you end up paying more at the pump. 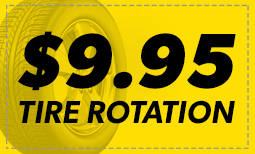 At Meineke #1078 in Cape Coral, FL, we service cars while and act as a tire repair shop. Contact us for tire change service for all your vehicles. Wheels may need to be aligned after accidents or after too much wear and tear on a vehicle. Cars with tire alignment issues often show uneven tire wear. Drivers may also notice vibration through the steering wheel as wheels pull against one another instead of working in sync. If your car pulls to one side, it may indicate that your wheels need to be aligned. Bring your car or truck to Meineke #1078 in Cape Coral, FL, and we will gladly perform an alignment and tire rotation at the same time. Contact us for more information regarding tire rotation. Tires are vital to the function and safety of your car or truck. The ridges and patterns that make up the tread of your tire are what help it grip the road and shed water to increase traction. When a tire's tread wears down, your vehicle no longer has the same traction and can become more unpredictable or more difficult to handle safely. Underinflated or overinflated tires often cause sidewall damage that can be dangerous, which can lead to sudden tire explosions on the road. Your tires should always be kept properly inflated. 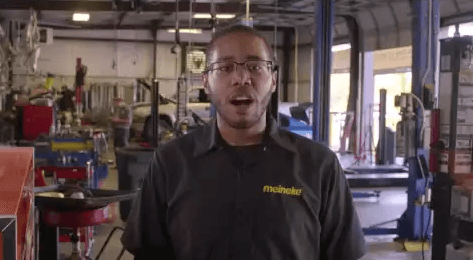 Learn about tire pressure sensor replacement when you stop by Meineke #1078 in Cape Coral, FL. Many of our customers ask themselves, "When should I visit a tire repair shop near me?" The answer depends on the age and current condition of your tires, your personal driving habits, and the condition of your local roadways. Individuals who drive on poorly paved and broken roadways will have to replace their tires earlier than most drivers. If you drive long distances at relatively high speeds, you may need to have your tires inspected once or twice yearly. If your tires are over ten-years-old, it is definitely time to consider a replacement. Get in touch with our Cape Coral, FL, Meineke #1078 store if you have specific questions. If you're in need of new tires, you probably have concerns about the actual cost of tire replacement. While worn tires increase your risk of performance and stability issues on the road, that doesn't make affording new tires any easier. Fortunately, we at Meineke in Cape Coral, FL can. Once you have your new tires, be sure to make frequent visit to our Meineke #1078 web page. We frequently post repair and tire rotation coupons there. This is our way of rewarding the trust you place in us.